Rocksylvania, you’re more like Rainsylvania. 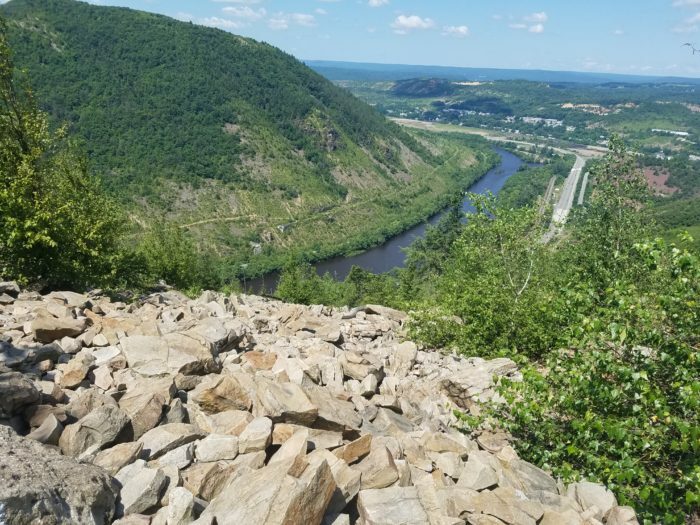 Pennsylvania had been looming in the future of this historic trail, having a reputation for being the most challenging state for many reasons. 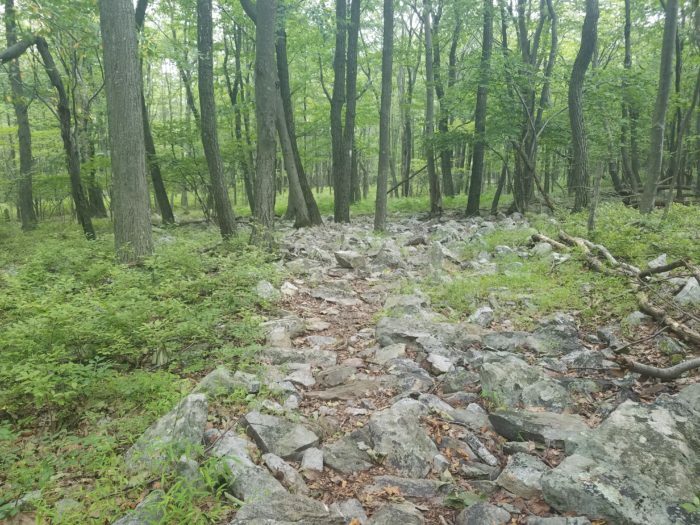 As Virginia is known for being the longest state mileage wise, Pennsylvania bears the name Rocksylvania because of the sheer amount of rocks on trail. This was no joke. While I have had terrible luck with footwear on this trip, my newest pair of trail runners barely made it 200 miles before getting shredded. The first half of PA wasn’t bad at all; it was actually very lovely. Wonderful terrain, minimal elevation gain, plentiful water sources, and great trail towns full of wonderful people. This was a little different than expected. I had heard the rain can come down hard, but I did not expect it to come like this. It rained for a number of days in a row, and the rain just collected and ran down the trail. It was incredible. 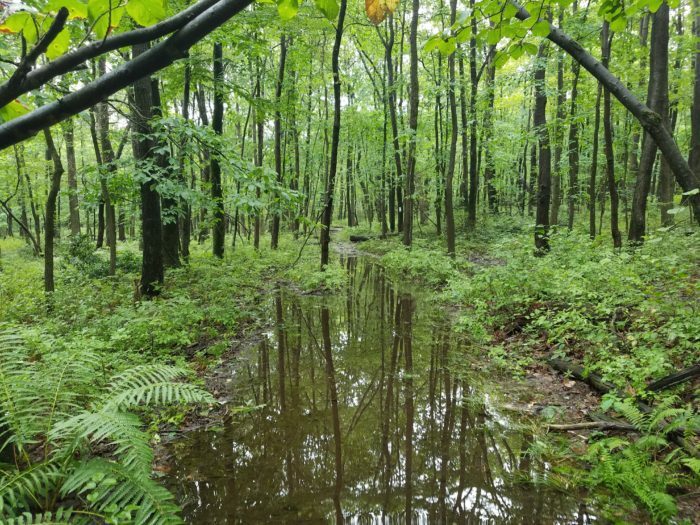 At times it felt as if we were hiking in the stream or creek rather than on the trail. It started at ankle deep, then shin deep, and we even got up to waste deep. It was wild. And very dangerous, not knowing where you were stepping. The only plus was that it kept the snakes away for a bit. 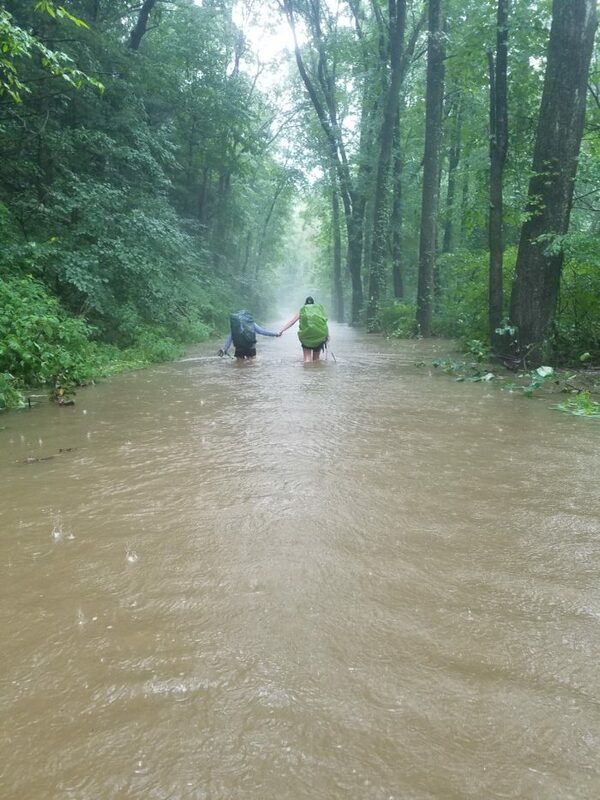 The flooding even made for partial trail closures, and threw a wrench in the mileage we aimed to accomplish each day. It did not make sense to push on with such unsure footing that lay beneath the water. 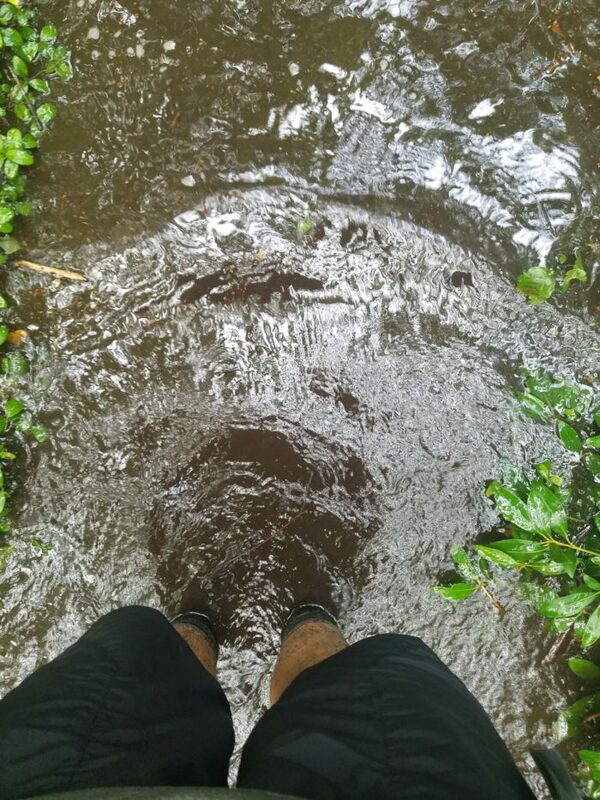 We ended up putting in 18s, hopping from shelter to shelter, trudging through ankle, knee, and nearly waist deep water! The trail towns here were like none other. While each state does an incredible job catering to us undeserving hikers, PA went above and beyond. Many of these towns accommodated thru-hikers, leaving gallon jugs of water at trailheads, and opening up churches, town pavilions, and restaurant lawns to tent or bunk in. Some of the more well-known towns lived up to the hype. Those include Duncannon, Pine Grove, Hamburg, Boiling Springs, Wind Gap, and Delaware Water Gap. What a spot this place was. 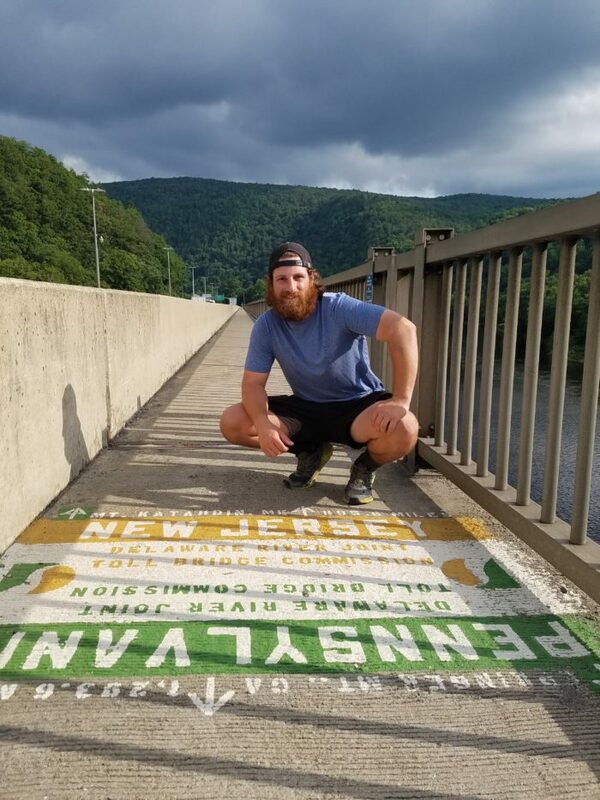 Happy Feet and I both had packages sent here and it is home to the state line sign we had been waiting so long to see: Pennsylvania/New Jersey. With all great town stops comes delicious food. Meals not coming from a Knorr or ramen package. I’m talking homemade goods! So we set out to hit all the stops. Apple Pie Bakery had a special of a hot dog and a slice of homemade pie for the hiker price of $2.95. We took down a few dogs and slices before heading to the post office. Happy and I both had packages waiting for us, mine consisting of my new sleeping pad as well as a few other goods from home. Thanks again, Ma and Dad. We hit the outfitter next and then walked by this quaint little coffee shop. It looked like it was open as we could see someone inside. Happy stuck her head in and asked if they were open, only to find out they weren’t so much a coffee shop, but small startup coffee roaster. 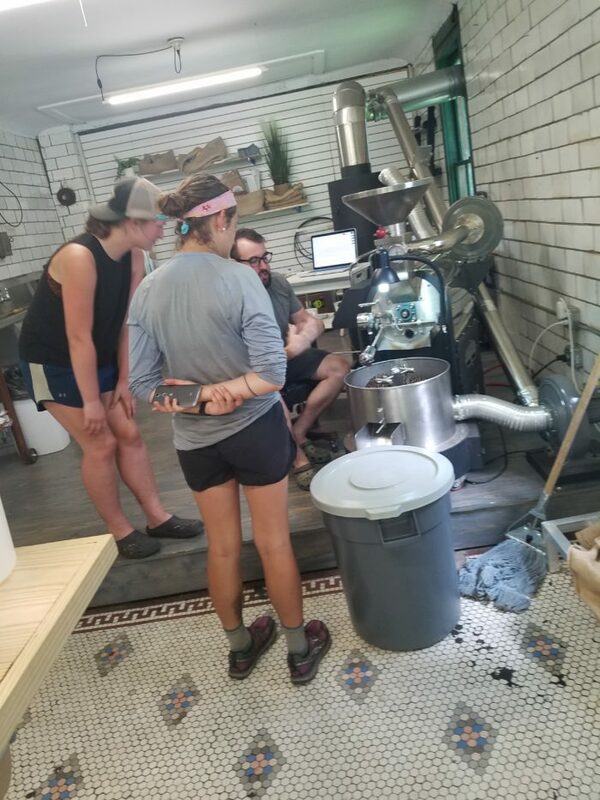 Luke, one of the founders, invited us in and made us all some coffee as we sat and chatted about the town, the business, the trail, while showing us the roasting process. 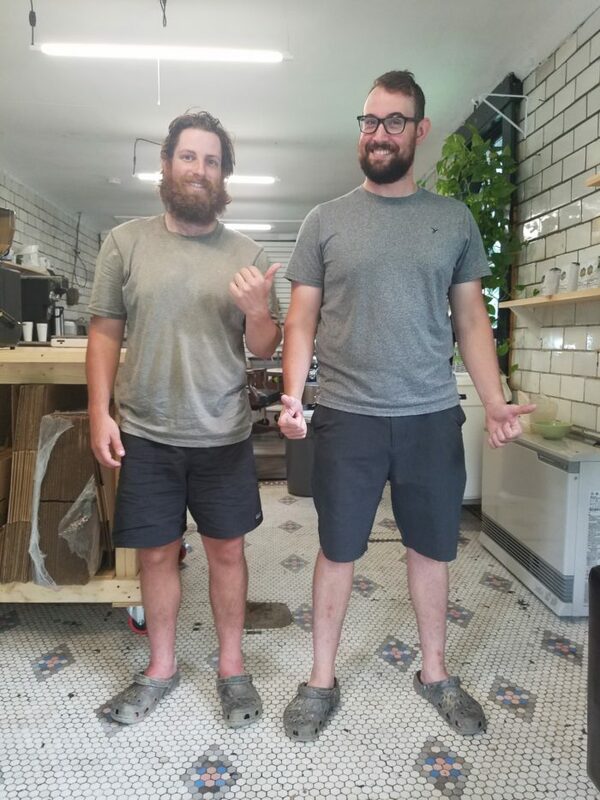 Thank you again Luke, what an awesome spot you have and delicious coffee. 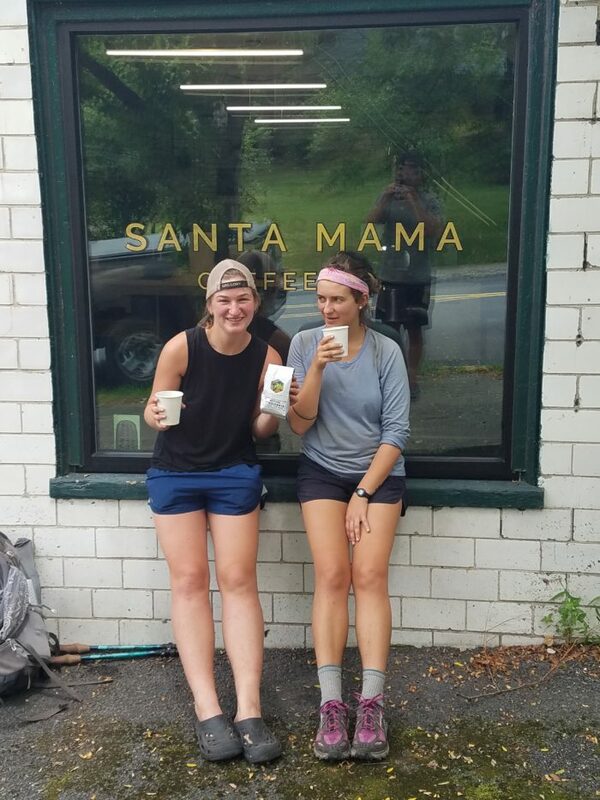 Santa Mama Coffee Co. Check them out. The last spot on the tour de food was the Sycamore Grill. They had 45-cent wings the night we were there. 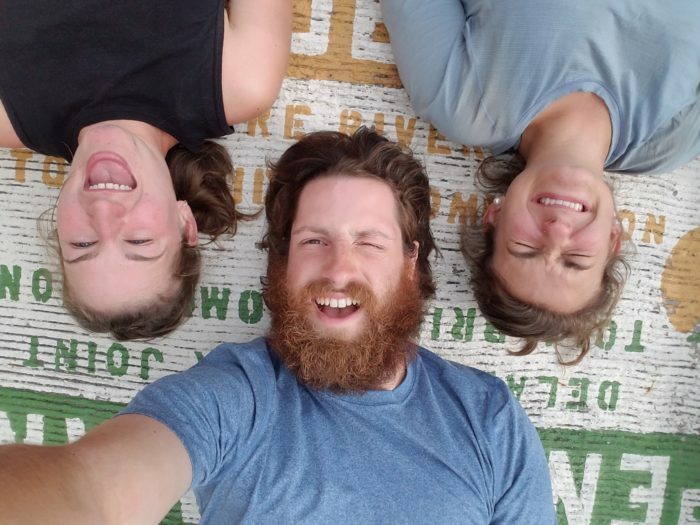 Thru-hikers packed the bar and we had an awesome night. Good food, good beer, and great company. What a way to end the wild ride Pennsylvania brought. I am finally getting to your incredible blog and sharing your journey. I would have been crying from the start! What a life journey you are on.